A fun album with plenty of cool guitar and Metal moments along with a few surprises that stop it being at all samey. Hey kids! Are you ready for some Metal! 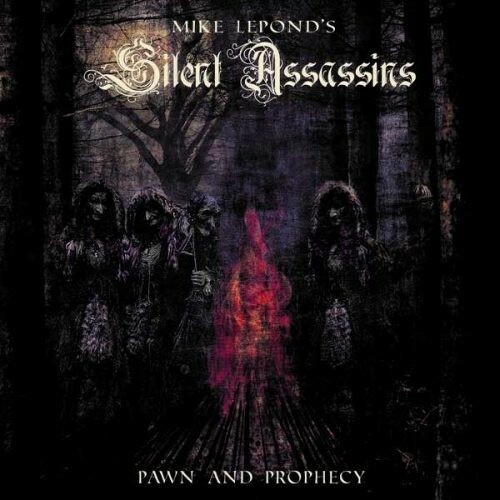 You had better be because Mike LePond (Symphony X) is as Metal as they come, but thankfully for 'Fireworks', he's got plenty of melody to go with it so we kind of like him. 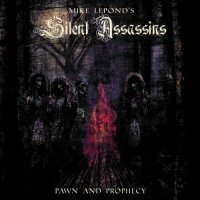 Following up the successful 2014 self-titled album, 'Pawn & Prophecy' keeps the core band of fellow SyX guitarist Michael Romeo and vocalist Alan Tecchio (Hades, Watchtower), whilst LePond provides bass. 'Pawn...' is a roller coaster of an album, often grabbing the listener by the scruff of the neck and shaking them. From the traditional heavy Power Metal of 'Hordes Of Fire', through the DragonForce speed of 'Avengers Of Eden' and ending with the twenty-two minute long title track, LePond and his Metal mechanics do their level best to entertain. Yes, the album closes with a twenty-two minute track which comes in after 'The Mulberry Tree', a twee folky thing more suited to Blackmore's Night (make of that what you will – I hate it). 'Pawn & Prophecy' itself is certainly an impressive way to close an album. Risky, yes, but if you get it right and don't allow it to get boring, a marathon track can make or break an album. In the case of this lengthy title track, it slips into the "make" category, mainly for being constantly entertaining, and partly for having a totally out of place (but fun) Blues section about half way in. The whole thing is certainly an eclectic mix of styles, but at heart it's a cool Metal song that works well. Overall, this is a pretty solid release, Folk nonsense aside. The guitar duo or LePond and Romeo do a great job, and there's plenty for guitar aficionados to get their teeth into throughout. Vocally, Tecchio has a strong voice that does the job, and whilst he's not amongst the best, he's certainly right for the music. 'Pawn & Prophecy' is a fun album with plenty of cool guitar and Metal moments along with a few surprises that stop it being at all samey. Definitely the noisiest "silent" assassins I've ever come across anyway!